The fourth quarter is often the best time of the year for business, especially if you’re involved in B2C retail or consumer goods (home decor, fashion, beauty, etc.). It’s the holiday season, which seems to get bigger every year – for better or worse. We have Black Friday, Cyber Monday, Hanukah, Christmas and more. Every store does everything they an to get their best deals of the year in front of potential customers. And their efforts trickle down to anyone who has an audience online, like bloggers. I’m never sure what to expect in November and December, but I know these will be great months for business. January and February are usually good too, since most affiliate networks pay out at least 30-90 days after transactions. Due to a hardware malfunction, my site was completely down for over 24 hours – the day after Black Friday. By my estimates, I lost about $350 revenue and 7,000 visits. My hosting company is 100% to blame, and I’m still waiting on them to contact me about compensation (they said upper management is looking into it since it affected so many websites). Needless to say, I was pretty upset about this. But I did learn a valuable lesson, and I immediate action to prevent future downtime (more on that in a separate post). Still trending upwards, which is great. I’m hoping December will be a record-breaker! Sponsorships, as always, are a big part of my business. I usually do a couple of sponsored posts and/or videos each month. AdThrive is the network that manages my non-direct banner ads. 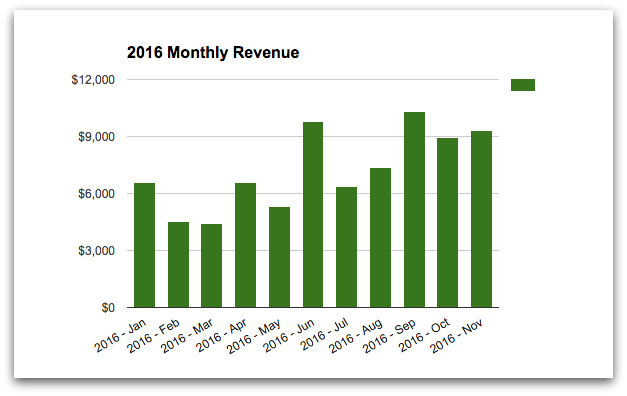 They produced a $7 RPM in November, which is a record high for the site. 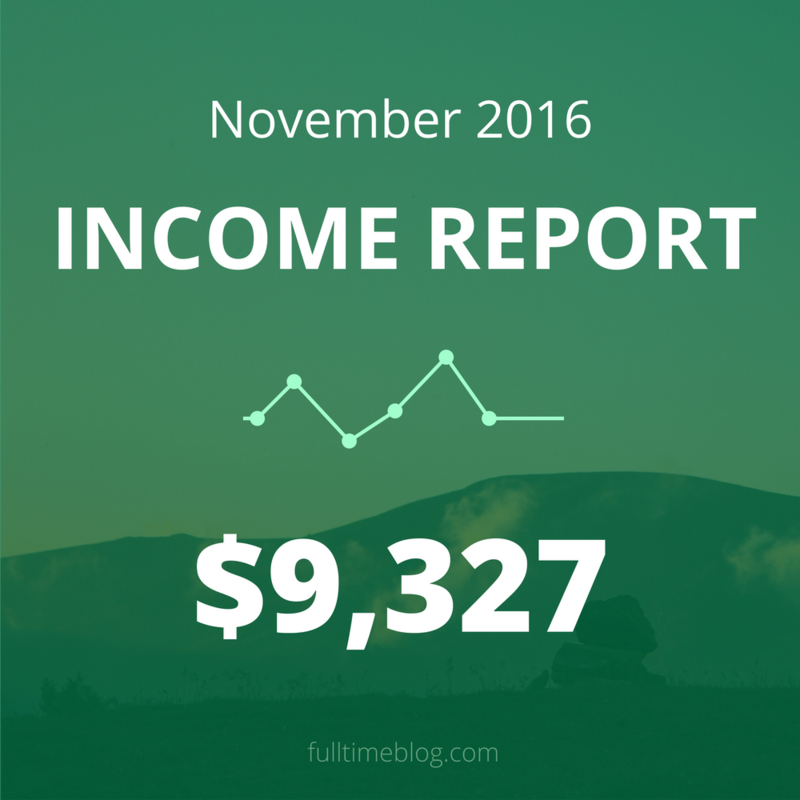 This was a pretty average month for affiliate revenue. But remember: affiliate networks tend to pay out 30-90 days after transactions are made. So even though November was a great month for earned affiliate revenue, those commissions won’t be paid out until January and February (after the purchases can be verified and any returns are made). Looking at a chart like this, it’s obvious why website downtime is so painful! I only have one product right now, which is my Style Guide (a digital “book” or guide about style for shorter men). It’s not a huge revenue generator, but it is truly passive income. Once you create a valuable asset like a book – especially a digital one – it pretty much works on autopilot. Notice that huge ConvertKit payment? They (my email service provider) offered three months free to customer who upgraded to an annual. Basically, I saved $450 by pre-paying all of 2017. There’s no way I’m switching from ConvertKit anytime soon, and I have the cash, so this was a no brainer! The other items are just the normal, monthly recurring expenses that help me run the business. So, down slightly from October, mostly due to that big ConvertKit payment. All in all, November was a solid month. Hey Brock! Thanks very much for this. Inspirational! Looking forward to reading more posts! Thanks for elaborating on this! Found you on reddit and have been browsing entrepreneur for some time now. Decided to start my own blog. Hope you can visit it sometime. Very cool content around found us on your reddit post as well.